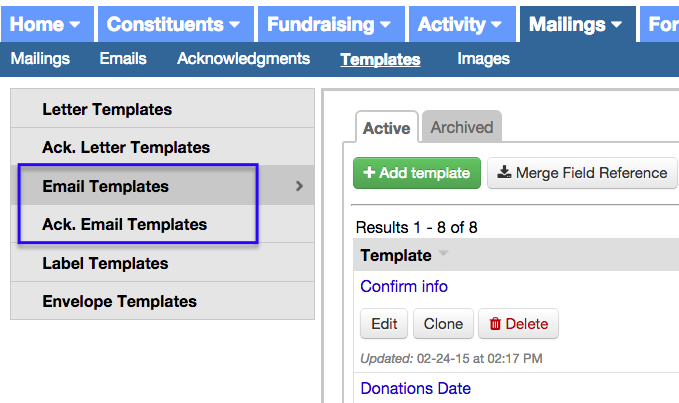 Once you have enabled LGL email, go to Mailings > Templates, and click on Email Templates. To add a new email template, click Add template. If you want to create an acknowledgment email template, click on that link on the left side. We've separated acknowledgment templates from the rest of mailing templates because they are so unique (acknowledgments must be connected to gifts). Now you can enter a name for your email template and pick its category (unless you're creating an acknowledgment template, in which case its category is predetermined to be Acknowledgment). 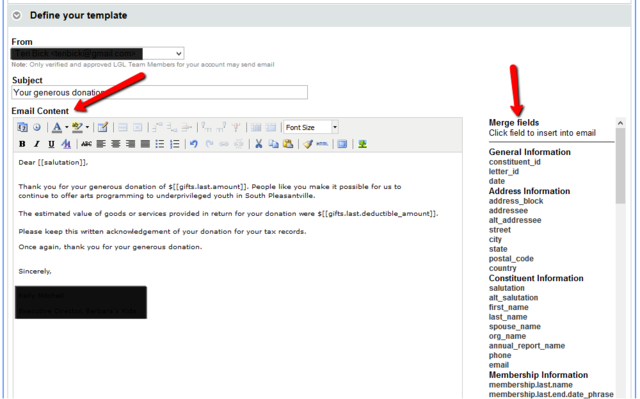 Write your email in the text editor field provided, using the standard formatting options available. You can even add images if you want to. Note that clicking any merge field in the Merge fields column to the right of the text editor field will cause that merge field to be automatically added to your content. Now you can save your email template, and it will be available to use in creating new emails. Read more about sending email acknowledgments. 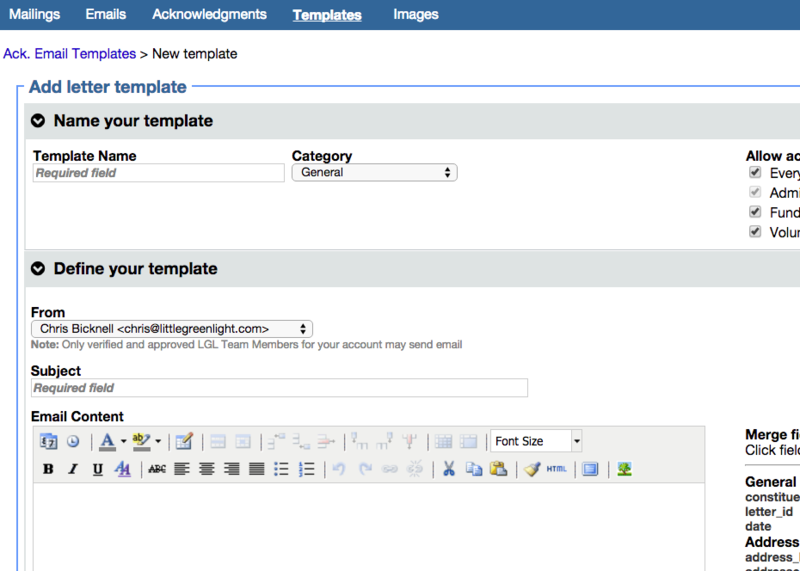 To apply your template, you need to start by creating a new email, which you can do from the Mailings tab. This article on sending email shows how to do that, and on step 2 you'll see where you can apply a template.